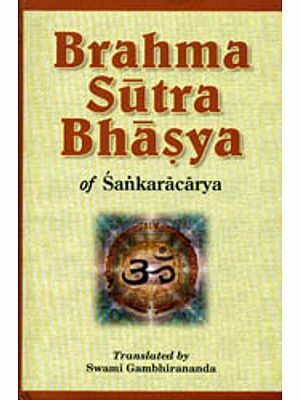 The problem as to what is the doctrine contained in the Brahmasutras of Badarayana or, in other words, which among the five wellknown commentaries gives the most faithful interpretation of them has occupied my mind since long. I was therefore very glad to have the permission of the Faculty of Arts of the University of Paris to offer to it in the form of a thesis the results of my study of the subject and my reflections on it. I leave it to the reader to decide if the conclusions at which I have arrived are or are not satisfactory. I only hope that the method followed in the treatment of the subject would appear to be reasonable and in strict conformity with the rules of western criticism. 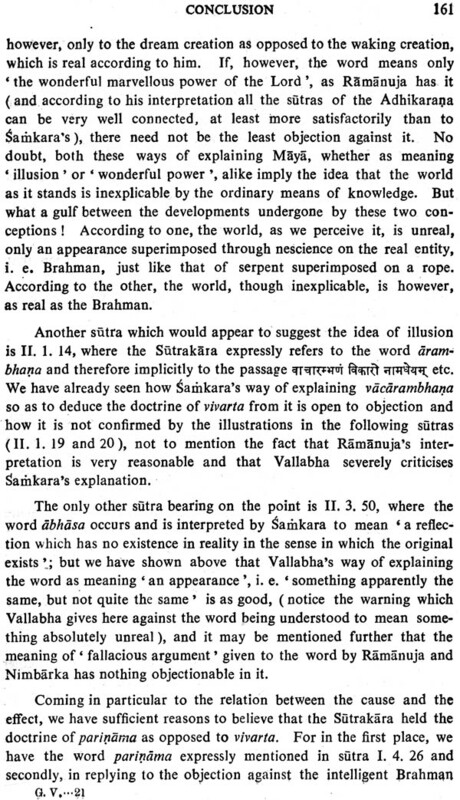 If this venture of mine succeeds in arousing some interest in Sanskrit philosophy, and more particularly in removing the idea which is now current in Europe that the sum of the Vedanta is to be found in the system of Samkara, I shall consider that my labour will not have been in vain. I have to thank Dr. F. W. Thomas for the kindness which he has shown me in placing at my disposal books and manuscripts from the Library of the India Office and in giving me his valuable advice whenever it was needed. The untiring co- operation of M. P. Masson-Oursel has likewise been of the greatest help to me, especially on account of his unrivalled knowledge of philosophic terminology, oriental as well as occidental. The library of M. E. Senart has been of great use to me and I insist on giving an expression here to my sense of gratitude to him. But above all things, I owe a debt of gratitude to M. Sylvain Levi and to M. A. Foucher. It is, thanks to their guidance and their encouragement, that this humble attempt has seen the light of day. I do not have words with which to express all that I feel when I think of all the precious time that these savants have spared for' me and of the affectionate sympathy which they have shown for me during my stay in Paris. I need not say what a source of information and of inspiration has been to me their heart-to-heart talk, in the course of which they gave freely of their treasures of erudition and of the finesse of their critical mind. I shall ever carry with me an imperishable memory of the hours which it was my privilege to spend in their company. The consideration of the main questions stated above cannot be satisfactorily carried on without at the same time taking note of many other side-questions, e. g. those about the means of knowledge (pramanas ), the nature of heaven and hell, the nature of God, the practices to be observed in order to arrive at the right knowledge, the different paths leading to beatitude, etc. Thus there are more aspects or disciplines of philosophy than one, amongst which may be mentioned the following which are principal:- ( 1) Metaphysics, (2) Natural Philosophy, (3) Psychology, to which may be added, (4) Eschatology. , ( 1 ) There are two ways of looking at the universe with all its manifestations, -one is to investigate the forms in which the universe appears to us, i. e. to our senses, which is the' domain of the so-called science; the other is to consider the very essence of the phenomena, independently of how they affect our senses, leading thus to the science of Metaphysics. This latter sets before itself the task of knowing what is behind or beyond the universe which is both in us and around us. It endeavours to grasp the hidden springs that move the world, it longs to enter into the mysteries of 'the great unknown '. Metaphysics thus inquires into the last or first cause, and is the science of the Really Existent. 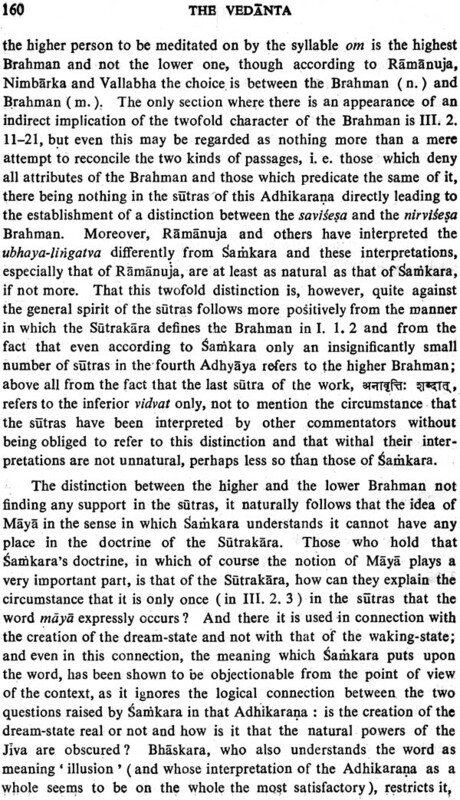 Thus questions about Brahman, its nature, its relation to the universe,- all fall under the discipline of Metaphysics or the doctrine of the philosophical principle. Metaphysics becomes theology when the philosophical principle becomes less abstract and is endowed with personal attributes, so as to suit better the longings and the limited powers of the human mind, in other words, is turned into God. Thus Theology is the doctrine of God, or Metaphysics made concrete, whereas Metaphysics is Theology made abstract. ( 2) On the other hand, when we deal with the phenomena themselves, their plurality, the order of creation and destruction of the different forms of existence that surround us, in brief, when we concern ourselves with the Cosmos as opposed to the underlying principle of unity, we enter the domain of Natural Philosophy, better known in modern times by the name of Cosmology. 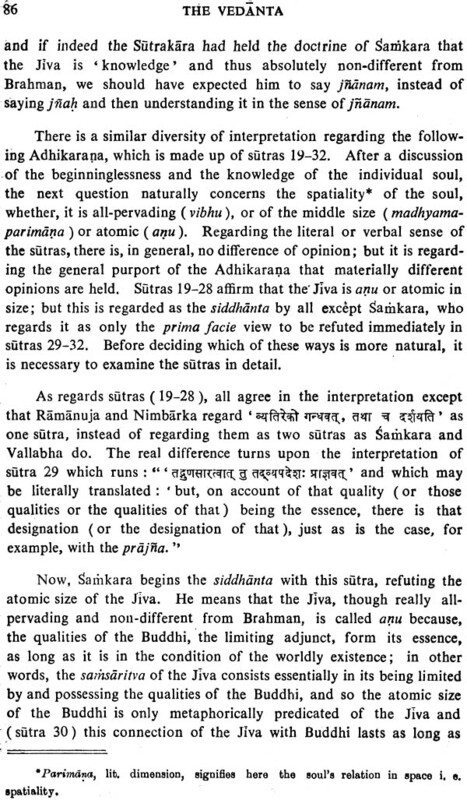 Thus, questions regarding the creation of the elements like ether, air, light etc., their order of creation and destruction, the classification of living beings etc., fall under the discipline of cosmology. 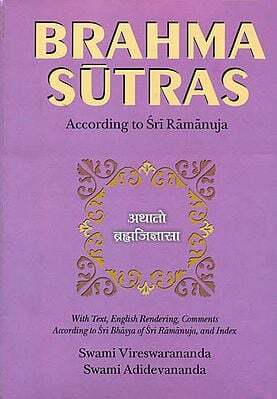 ( 3) Apart from the outer world, there is the inner world, which is in ourselves, the world of thoughts and emotions, wishes and cognitions, the subtle vital airs all having at their head the soul or the ego. An investigation into this inner world forms the subject of the third discipline, viz. Psychology. 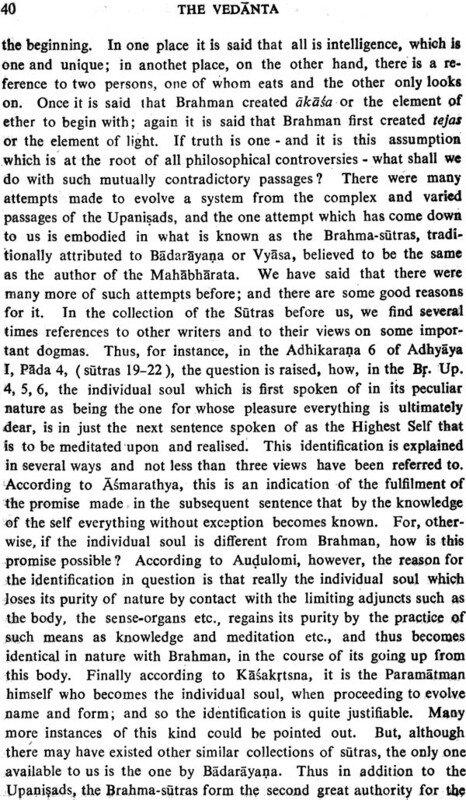 Thus the theory of the subtle body and the gross body, the sense-organs "as the means of cognition, internal and external, the vital airs, - all these belong to Psychology. 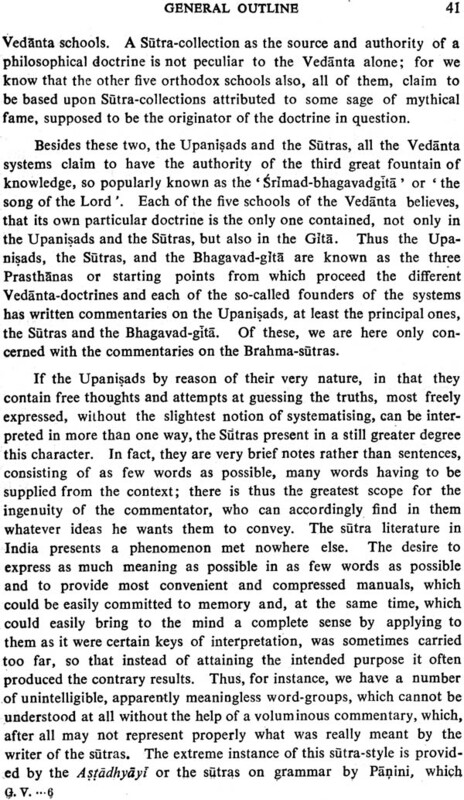 Allied to this, or forming a sub-section of this, is Logic which deals with the more concrete instruments of thought and the laws of valid reasoning, which department has been the special pre-occupation of the Nyaya School of philosophy. 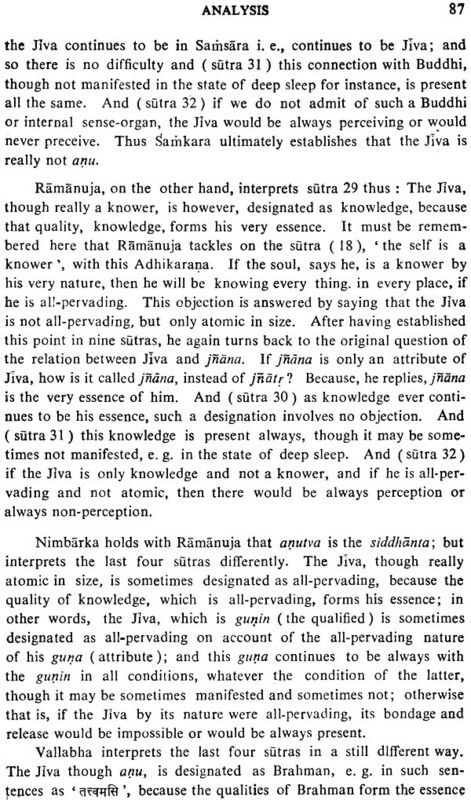 (4) To these we may add a fourth discipline, which is much less important and which is called Eschatology, dealing with things after death, with heaven and hell, the course followed by the Jiva (life) after its departure from the body, the theory of manes etc. These are the four chief parts which every philosophical system must contain. In the present place, however, we shall be mainly concerned with the first or metaphysical aspect and with the rest, only occasionally.